The well-planned Golden Triangle with Udaipur tour allows you to witness the cultural and royal heritage of India like never before. 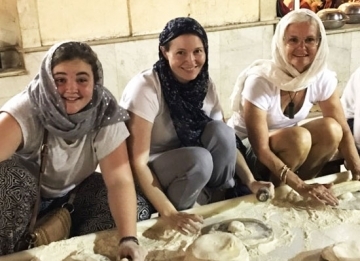 Spanning for over 7 nights and 8 days, the tour takes you to the iconic cities of India to explore many of the timeless architectural wonders. The charm and grandeur of the erstwhile Rajputana rulers will leave you spellbound. 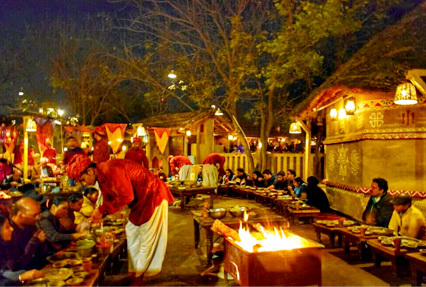 Escape to the bygone era as the olden times come to life in front of your eyes. 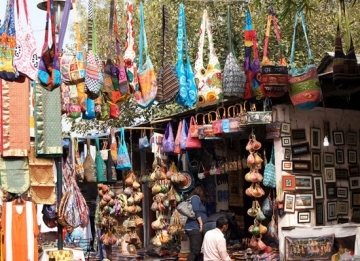 Discover the myriad of colors, thrills and amazements at Delhi, Agra and Jaipur. 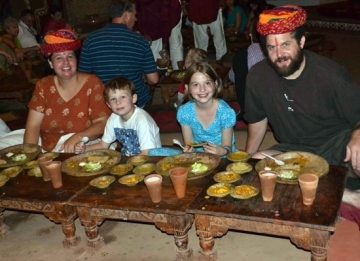 A trip to Udaipur is an added plus which can transform your family tour to India to a memorable affair. 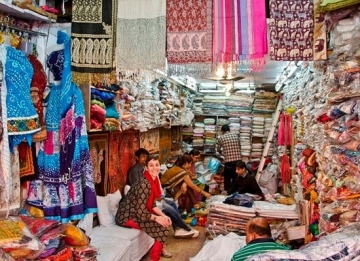 Upon arrival in Delhi, receive a warm welcome by our tour representative. He will further assist you with a guided transfer to the pre-decided hotel. 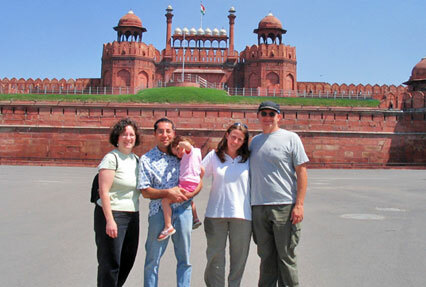 Complete the check-in formalities and get ready for exploring two popular attractions in Delhi – Lotus temple and Red Fort. 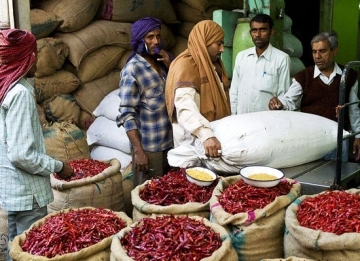 Delhi, being the capital city of India is the juxtaposition of the old and new. 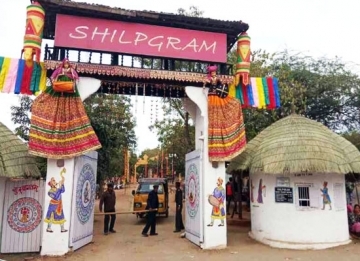 Famed for its street foods, local markets, historical monuments and so much more, the place is surely one of the must visit destination in India. 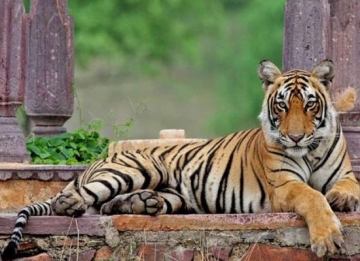 Your excursion starts with the Red Fort (Monday closed). Also known as the Lal Quila, the edifice presents a sight to behold. Counted as a UNESCO World Heritage Site, the fort is built of red sandstone and famed for a Light and Sound Show held here every evening. Next on the list is the Lotus Temple (Closed on Monday). Built in the shape of a lotus, the temple is known for offering utter tranquility that prevails here. 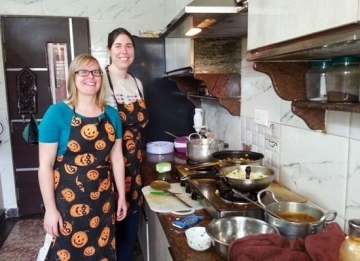 Start the day 2 of Golden Triangle India Tour with a hearty breakfast. After that, proceed towards Raj Ghat, the first attraction of the day. Commemorating Mahatma Gandhi, known as the 'Father of the Nation', the memorial marks the cremation spot of the nobleman. Besides him, many other prominent personalities were cremated in close proximity. 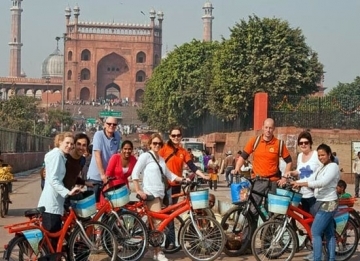 Subsequently, head towards the Jama Masjid. Reckoned as the biggest mosque in India, the holy place is crafted beautifully in sandstone and white marble. Later on, you will be exploring Qutub Minar, the highest brick minaret in the world. Adorned with Arabic and Brahmi inscriptions, the monument lures scores of tourists. Call it a day at the Humayun's Tomb. The edifice is so splendid that it has served as a blueprint for the construction of the Taj Mahal. Enjoy a drive past the India Gate, a war memorial commemorating brave Indian soldiers. 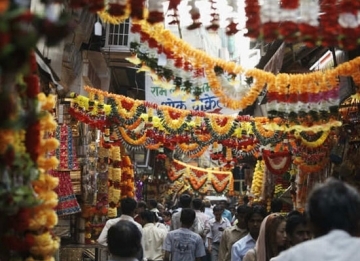 On Day 3 of the Golden Triangle tour with Udaipur, enjoy a road trip to Agra. Nestled along the river Yamuna, the 'City of Taj' portrays the Mughal influence prevailing in various aspects of the town. 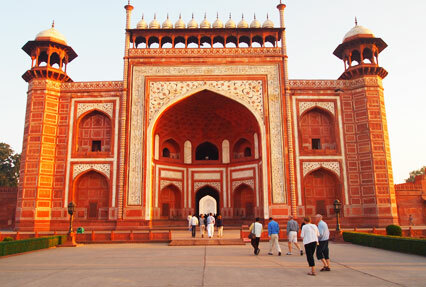 Upon reaching the hotel, complete the check-in formalities and proceed for a guided tour to Agra. Today, you will be exploring the Agra Fort. Standing in full glory, the Agra Fort epitomizes strength, power and grandeur of the bygone era. Built after 8 years of hardship of the 4000 workers, the fort has been a host to many rulers and emperors. 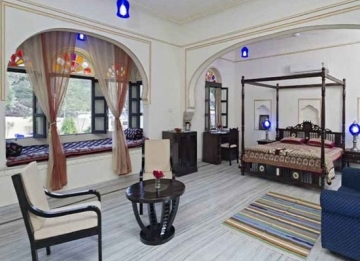 Post exploring the fort, you will be taken to the Tomb of Itimad-Ud-Daulah. Also known as the 'Baby Taj' or a 'Jewel Box', the tomb exudes immaculate architectural beauty. The stone inlay beautifully adorns the monument. 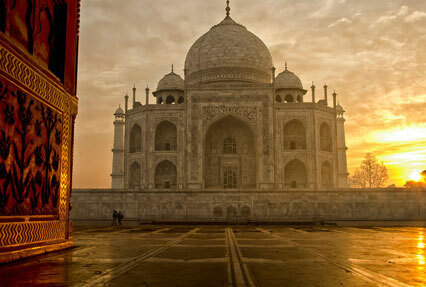 Begin the day with an amazing experience by marveling at the Taj Mahal during sunrise. The sight looks truly stunning and renders the onlookers speechless. 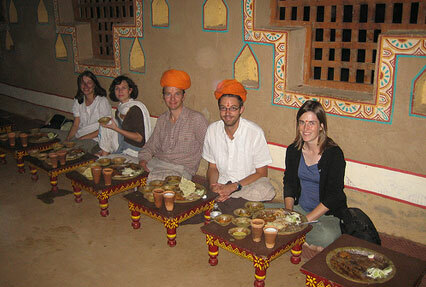 Thereafter, you will be traveling to Jaipur while delighting in a halt en route at the Fatehpur Sikri. 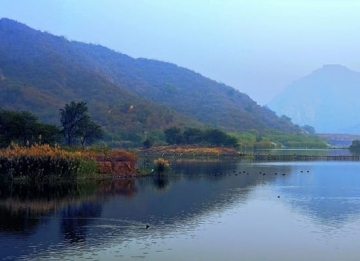 Mesmerized with the charm of the city, Akbar attacked it many times. His arduous efforts helped him conquer the place and thus it was named so. 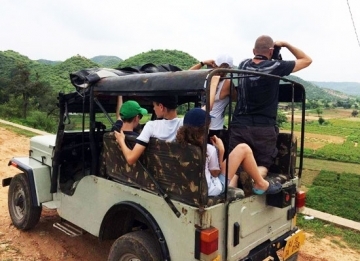 After reaching, you will be sightseeing many splendid monuments which tell thousands of tales of the historic times. 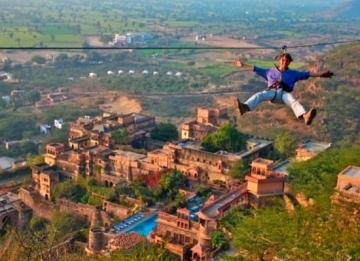 Once done with visiting the attractions of the city, continue your sojourn to Jaipur. 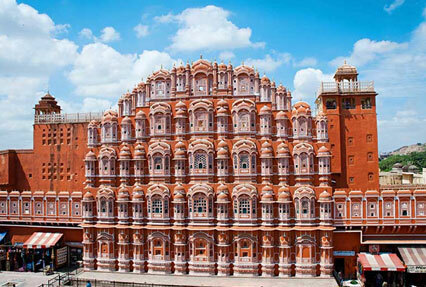 Titled as the 'Pink City', the town is home to many places to visit including the Hawa Mahal, City Palace and many more. Once you reach one of our pre-decided hotels, check-in and enjoy an overnight stay. 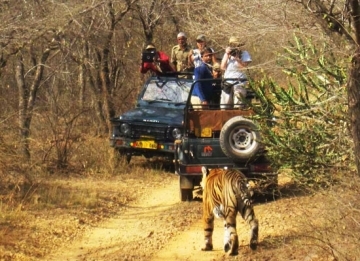 On day 5 of your Golden triangle tour, you will be busy soaking in the charm of the bygone era. The day is reserved for traveling around the striking remnants which remind us of the royal chivalry of the Rajputana rulers. The first attraction of the day is the Amer Fort. 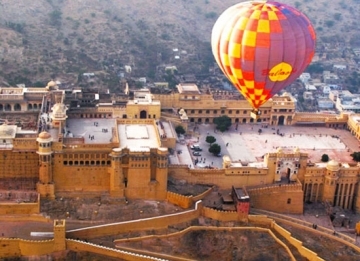 Perched on a hilltop, the fort consists of amazing halls, palaces, temples and gardens. 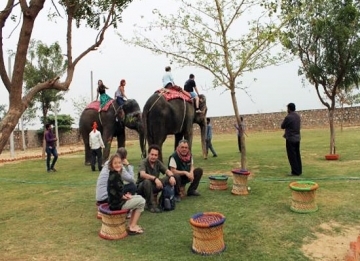 Reaching the fort while cherishing an elephant ride is one of the best things to do in Jaipur. However, you have to pay an extra cost for this. Other worth-visiting places are the City Palace which houses a museum, Shri Govind Dev Temple and Chandra Mahal; Hawa Mahal – also famed as the 'Palace of the Winds', the amusing monument features 953 attractively carved windows and Jantar Mantar which consists of outsized astronomical instruments still in use. The afternoon is at your leisure. Go for shopping. 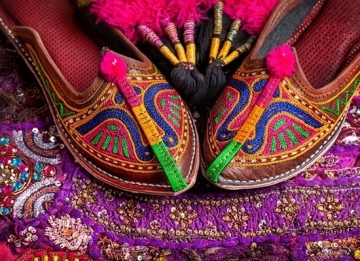 Buy souvenirs and also don't forget to savor the authentic Rajasthani cuisines. 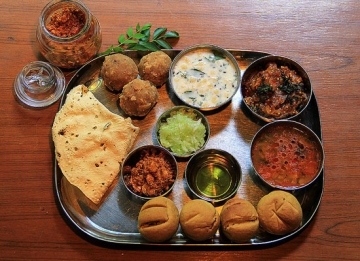 On the 6th day, travel from Jaipur to Udaipur by road after munching an appetizing breakfast. 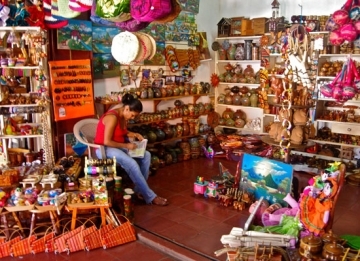 Upon arrival at the city, get comfortably transferred to the pre-decided hotel. After check-in, soak-in the comforts of the hotel. Rest of the day is at your leisure. 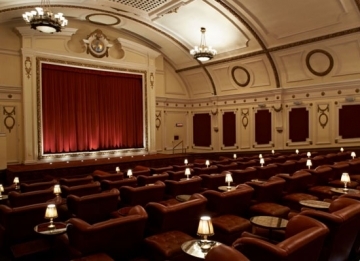 Unwind yourself or go out for an excursion to the city on your own. 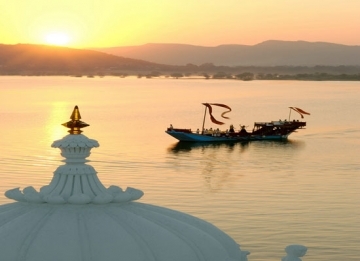 Titled as one of the most romantic cities in India, Udaipur lures tourists for its lakes and other charms. 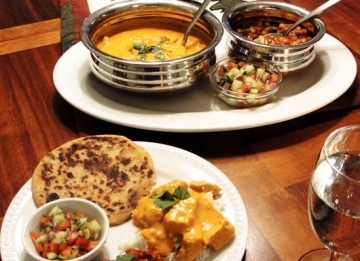 After satiating your hunger with scrumptious breakfast, get ready for a day trip to Udaipur. The first stopover will be at the City Palace. 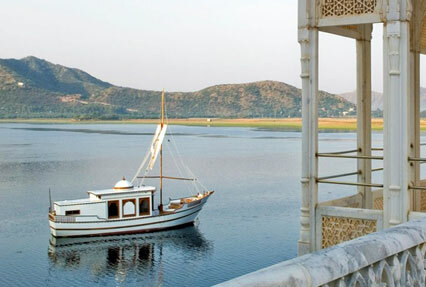 Overlooking the beautiful Lake Pichola, the palace stands as a fine example of the Rajputana architecture. 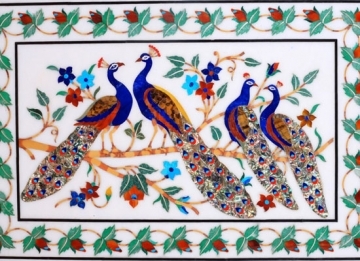 Decorated with dazzling intricate miniatures, paintings and antiques, the palace grabs the attention instantaneously. 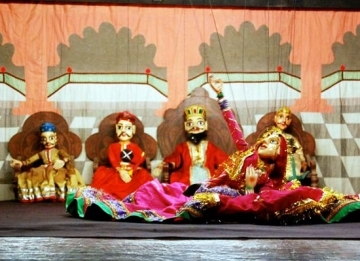 Standing out amongst the rest of the places to visit in Udaipur is the Saheliyon ki Bari or the Garden of the Maidens. Water fountains are the major highlight of the gardens. Interestingly no pumps are used to operate these fountains and they solely work on the pressure of the water. The Jagdish Temple is another popular attraction which houses a huge statue of Lord Vishnu made up of black stone. 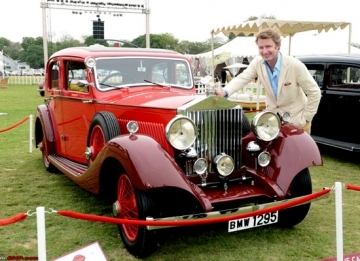 You can make your evening special by opting for Motor launch cruise by paying an additional cost. 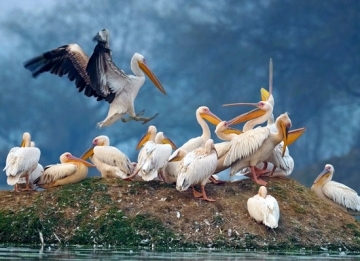 This is the last day of your 8 days Golden triangle tour with Udaipur. Delicious breakfast will be served to you and later on, you will be transferred to the Udaipur airport to catch your homebound flight.